Earlene Busch – Earlene is the founder and former owner of a Colorado information technology firm. She now owns Chanterelle Country Inn and Cottages, near Baddeck – an eco-award winning property and business listed in National Geographic as one of 13 Canadian accommodations that follow environmentally-responsible practices, including serving locally-grown food. She says that the opportunity to go to Patagonia and to support the Nova Scotia Nature Trust at the same time is just the perfect experience. She is looking forward to learning concepts and ideas to bring back to enrich the tourism attractions in Cape Breton. 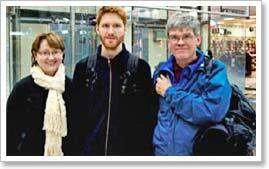 Gordon Hebb, Mary Ellen Donovan and Andrew Hebb – Gordon is a lawyer at the NS legislature, and he is joined on this Expedition by his wife Mary Ellen and his son Andrew. Mary Ellen became interested in the Expedition after they attended the Nature Trust’s annual dinner last October. Also, years ago, Gordon bought a ticket on a trip to Antarctica but didn’t win – so this trip makes up for it. The family is making a longer tour, including Ecuador, the Galapagos (on his bucket list) and the Amazon, three weeks in all. Mary Ellen says that her favourite vacations are nature-based, so when the opportunity to go to one of the most beautiful places on the planet with a group from home she was sold. 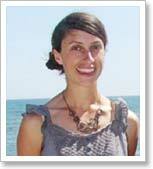 Laura Hussey Bondt – Laura works for Fisheries and Oceans Canada, in fisheries management. She is a long-time supporter of the Nature Trust. At her wedding, guests had to donate to the Nature Trust to get the couple to kiss. She says that this fundraiser really spoke to her, as someone who lives in Nova Scotia and loves to spend time outdoors. She views the expedition as a perfect opportunity to support conservation of the wild places she loves at home while getting to explore a spectacular wild place at the other end of the world. Henry Fuller – Henry is a Baddeck boatyard owner-operator, and he is a founding board member of the Nature Trust. Henry spent 1969- 70 in South America, travelling to Brazil, Peru and Chile. He has also hiked New Zealand, and biked Mississippi-Tennessee. Henry speaks Portuguese and is looking forward to practicing his Spanish. He is combining this expedition with a longer tour of South America. Bob Melville – Bob is a retired forester and forestry business owner, now living in Port Williams. He discovered the value of conservation as a young forester in New Brunswick. At 75 years old, Bob is very active – he paddles, cycles, hikes, flies an airplane, and works to restores his old car. He says that he’s always on the lookout for something new and interesting to do. As he has become aware of the Nature Trust’s work and its importance for the future of Nova Scotia, he has become more and more interested in and enthusiastic about the cause of conservation. Corey Miller – Corey is the Nature Trust’s board president and is the president of Tirecraft Atlantic Canada. He sees the expedition to Patagonia as a real “bucket list” type of venture – a way to experience a once-in-a-lifetime adventure while making a real impact on the environment by supporting a local cause he cares about. He was first drawn to the Nature Trust because he loves the outdoors and was thrilled to find an organization dedicated to protecting the kinds of places we all love to hike and swim and explore. Reynold van Oord – Reynold is a clinical therapist with Capital Health. He originally heard about the expedition through his partner Corey Miller. After barely any discussion at all they decided to take advantage of this fantastic opportunity. He’s very excited that they will able to experience such a beautiful setting while raising money and awareness for the Nature Trust. 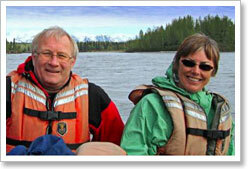 Ted and Rene Scrutton – Long-time Nature Trust supporters and volunteers, Ted and Rene are both retired from jobs that allowed them to pursue our love of the outdoors, Ted as coordinator of outdoor recreation for the province, and Rene as a school teacher who constantly sought out ways to meet learning outcomes through earth education activities. They have had many outdoor experiences and hiking trips across Canada and abroad. When the Nature Trust offered this chance to travel to Patagonia with Berg Adventures, they knew they wanted to get involved. This trip meets their travel interests, offering unique scenery and flora and fauna that they might not otherwise see, as well as a cultural experience new to them. It also gives them an opportunity to fund-raise and raise awareness of the work done by the Nature Trust. Graham Steele – Graham is the MLA for Halifax –Fairview, and a former provincial finance minister. He has always loved being outdoors, especially hiking and kayaking, and he has also been fortunate to have travelled extensively. He signed up for this expedition to Torres del Paine National Park in Patagonia, because it allows him to combine his passion for the outdoors and travel with one of his favourite local NGOs, the Nature Trust. Deborah Stover – Deborah is a retired operating room and emergency nurse, who was also been employed with a medical supply company and a “chronic volunteer” with Halifax Regional Search and Rescue, Habitat for Humanity, Tall Ships, Briar, Canada Games, Association for Community Living, Navy 100th anniversary and the Nature Trust. 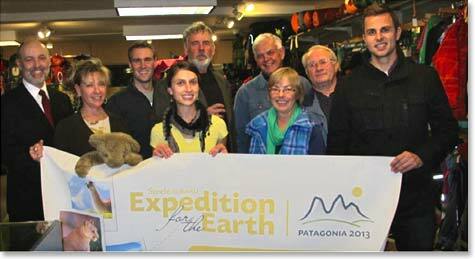 Patagonia has been on her go-see list. Her hopes for this trip are multifold: explore some of Nature's gems, meet new friends, experience another culture, perhaps choose other sites to visit later and return to share her experiences with others through photos and stories.